Just a quick post today, since for you it is the weekend and I’m sure you’ve got lots of interesting things to be doing, while for me it’s four o’ clock on a Wednesday morning and I should really be getting to bed. I’d like to solicit some suggestions for improving my writing. When I’m just posting on a forum or whatever it doesn’t really matter how I write. The very fact that I use proper spelling, punctuation and capitalise my sentences makes me look smarter than 95% of the people who write words on the internet. Even when I was writing my doctoral thesis I didn’t care so much – scientific writing is so indescribably bad that no matter how low I sank, I’d be in good company. Since I started writing long-form reviews last year, though – and especially since I started this blog – I’ve noticed that I massively overuse certain words, phrases and tics of writing. This is because I write in the same way that I think, and all my thoughts are structured in more-or-less identical fashion. I’ve come to terms with my unfortunate predilection for semicolons (there is nothing fundamentally wrong with the semicolon, it’s just that nobody else ever uses the damn thing) but when there are two or three sentences in a row with the exact same structure it can be a little jarring, and I imagine it’s the sort of thing that is kind of repetitive to read. Words words words words words words, but words words words words words words. Words words words words words words, and words words words words words words. Or with, or where, or any one of a dozen other connecting pronouns. I think it has to do with my use of commas in the places where I’d usually pause when speaking the words out loud – either to draw breath, or for effect – and my dislike of multiple short sentences to say something that could be summed up in one longer sentence. The former in particular I’ve read is a big writing no-no, but I honestly can’t think of another writing tactic to use in its place. Does anyone have any bright ideas for “fixing” this? EDIT: Jim says it would help if I posted examples of offending sentences so that people can suggest specific fixes, and who am I to doubt the word of Jim. The first is radial velocity measurements. Stars exert gravitational force on planets which causes the planet to orbit the star, but what people often forget is that all gravitational effects are mutual and that the planet is also exerting a gravitational force on the star. This means the centre of mass of the star-planet system won’t be at the centre of the star but will instead be offset from it by a small distance, causing the star to orbit around this point and move back and forth relative to the Earth. Actually I don’t think anything needs fixing. Most of the things you list here are features of written English, rather than bugs, and while you have an identifiable wiring style I personally find your voice quite clear, so I would argue against trying to strip the personality out of it. Ditto. I’ve certainly not noticed any of things you’ve pointed out and if you try changing it you may take away some of the things that make you ‘you’* as well. As you say, you look smarter than 95% of the internet and I think that’s fine for blogs as well as forum posts. *not you as a person, rather you as a series of blog posts. Indeed, I don’t see anything wrong with the sample you’ve posted. 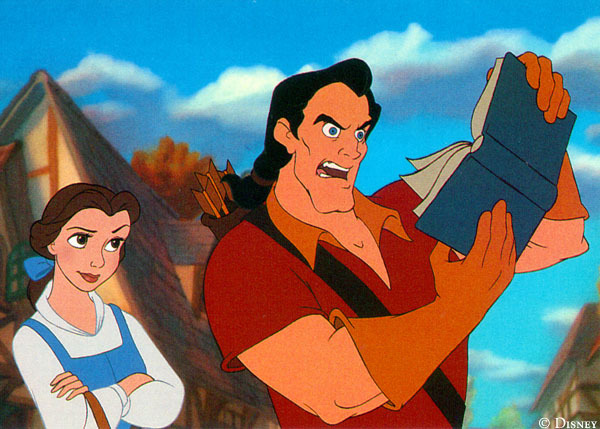 Also Gaston is awesome and the picture at the top of this post makes me happy. Must say – I don’t think there is a problem with your style at all. It is interesting and engaging to read, and it remains informative and structured. Also, semicolons are positively encouraged. As are regular colons. And a spleen. Seriously, maybe I’m a bit too hard on myself. I should try to be less self conscious about this sort of thing in the future. a) NO. Semicolons are amazing. Use them more. You cannot overuse semicolons. b) I have noticed nothing wrong and think that, yes, you are too hard on yourself. I think you should bear in mind that blogging is also not about highbrow literature, but getting thoughts across effectively. Even so, you account for yourself very well, I think. The time when you should be worried is when people actually find sentences jarring because of their structure or errors. Certainly that can turn people off, but is not a problem that I have identified in your writing, which is engaging. Also, I have used ‘but’ many times in this response! Damnit WordPress. I am not anonymous, I logged into my WordPress account as I posted. Let’s see if you have caught up yet.